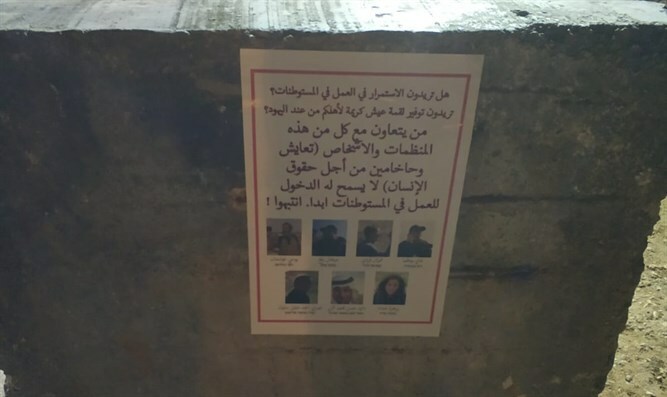 Residents in the eastern Gush Etzion town warn Arab workers not to cooperate with extreme leftist organizations in the area. The eastern towns of the Gush Etzion area have recently decided to step up the struggle against the takeover by Palestinian Arabs of land within and around the Jewish towns. 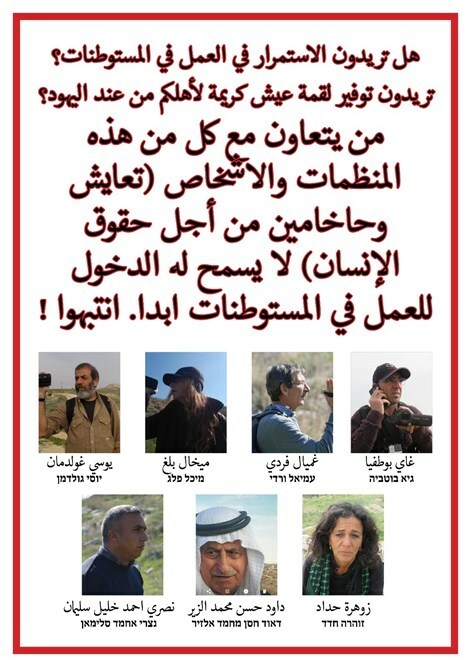 The Arab actions are being directed by the extreme leftist organizations Ta’ayush and Rabbis for Human Rights, with the help of Anarchists Against Fences and illegal foreign tourists from the World Council of Churches’ EAPPI (Ecumenical Accompaniment Program in Palestine and Israel) program. The Jewish residents of these communities told TPS news agency that they have noticed that while some Arabs arrive, take over and carry out the provocations, other members of the same family make their living from working in the Jewish towns. In light of this, the news agency reported that ads in Arabic were posted in the vicinity of the Jewish towns featuring pictures of the Ta’ayush and Arab activists leading the provocations. “Do you want to continue working in [Jewish] towns? Do you want to provide your family with a good livelihood from the Jews? Those who cooperate with any of these people and these organization (Ta’ayush and Rabbis for Human Rights) will not be allowed to enter the towns to work. The ads were distributed around the communities of Nokdim, Sde Bar, Tekoa, Kfar Eldad and Ma’ale Rechavam. The residents told TPS that a translated version of the ads was being distributed in Hebrew within the communities and that a list of the [Arab] family members who are employed in the towns will soon be distributed so that each employer can make his own decisions.